With over 100 million users, the iPhone has spawned a huge apps industry. If you plan to release an iPhone app of your own, it is crucial for you to understand the mechanics of the market and design your app so that it will be appealing to users and sell a large number of units. Steve Jobs once said “simplicity is the ultimate sophistication”. That is the secret to success behind Apple's products and many iPhone apps. Simplicity is what optimizes end user experience, which is critical to the success of not only iPhone apps, but almost any product. Think of the most successful app today – Angry Birds. The app is elegantly simple in how it is designed and presented that people of almost any age or background can have fun playing it. User feedback and reviews are critical in determining how popular an app will be. The best way for your app to have positive feedback is to simply create an awesome app that people will love and share (much easier said than done). Also, do your best to make it easy for users to leave feedback by having the feedback button prominently visible when the app is being used. If you receive negative feedback, rather than getting frustrated, view it as constructive criticism and use it to help improve your app. For an app to be successful, it is vital that it is different from its competitors. 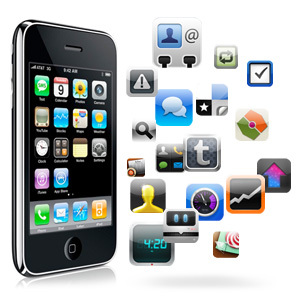 It must have qualities that sets it apart from other apps and gives it a durable competitive advantage. If you are thinking about creating an app that is just a copy of another app that is already on the market with no significant differences, don't expect your app to sell very well. One common feature among almost all successful apps is that they are free. Free apps are also understandably much more likely to be downloaded – in fact, free apps have accounted for almost 90% of all app downloads so far this year. So if you want your app to sell, it is best to make it free. Don't worry though, you can still make plenty of money by serving ads on your app. Of course, having these qualities will not completely ensure that your iPhone app sells well, but they will definitely help. Your app also needs to fill a void and provide a lot of value to users. In other words, you must have a great idea for an app, and that's something that will not happen overnight – it will take lots of time and effort to come up with a great idea, so get to it!